In 1996, Carter joined the Hot Boys along with rappers Juvenile, B.G., and Turk. At age 15, Carter was the youngest member at the time. Hot Boys' debut album Get It How U Live! was released the same year, followed in 1999 by the group's major-label debut Guerrilla Warfare, which reached No. 1 on the Billboard Top R&B/Hip-Hop Albums chart and No. 5 on the Billboard 200. During their career, the Hot Boys had two charting singles, "We on Fire" from Get It How U Live! and "I Need a Hot Girl" from Guerrilla Warfare. Carter was also featured on Juvenile's single "Back That Azz Up", which reached No. 18 on the Billboard Hot 100 and No. 5 on the Hot R&B/Hip-Hop Singles & Tracks.Let 'Em Burn, a compilation album of unreleased tracks recorded during 1999 and 2000, came out in 2003, several years after the group disbanded. It reached No. 3 on the Top R&B/Hip-Hop Albums chart and No. 14 on the Billboard 200. In the summer of 2004, Wayne's album Tha Carter was released, marking what critics considered advancement in his rapping style and lyrical themes. 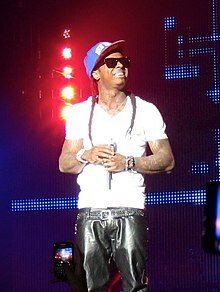 In addition, the album's cover art featured the debut of Wayne's now-signature dreadlocks.Tha Carter gained Wayne significant recognition, selling 878,000 copies in the United States, while the single "Go DJ" became a Top 5 Hit on the R&B/Hip-Hop chart. 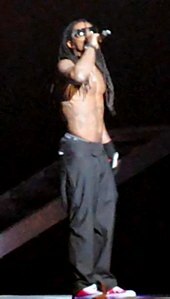 After the release of Tha Carter, Lil Wayne was featured in Destiny's Child's single "Soldier" with T.I., which peaked at No. 3 on the Billboard Hot 100 and the Hot R&B/Hip-Hop Songs charts. Vibe magazine ranked a list of 77 of Lil Wayne's songs from 2007 and ranked his verse in DJ Khaled's "We Takin Over" as his best of 2007, with "Dough Is What I Got" (a freestyle over the beat of Jay-Z's "Show Me What You Got") from Da Drought 3 the second song. At the end of 2007, an MTV poll selected Lil Wayne as "Hottest MC in the Game",The New Yorker magazine ranked him "Rapper of the Year", and GQ magazine named him "Workaholic of the Year". In 2008 he was named "Best MC" by Rolling Stone. Another article, built around Lil Wayne's 2007 mixtape work, cites his creative practice as an example of post performance creative practice. In 2007, Lil Wayne stated that he would reunite with Hot Boys, with plans to release an album after B.G. 's solo album Too Hood to Be Hollywood was completed.Tha Carter III was originally scheduled to be released in 2007, though it was delayed after several recordings were leaked and distributed through mixtapes, including "The Drought Is Over Pt. 2" and "The Drought Is Over Pt. 4". Lil Wayne initially planned to release The Leak, a separate album with leaked songs and four additional tracks, on December 18, 2007, with Tha Carter III delayed to March 18, 2008. Instead, The Leak became an EP with five songs and was released digitally on December 25, 2007. In an interview on MTV's Mixtape Monday, Wayne asserted the possibility of Tha Carter IV, later announced that it would be released in late 2009 before the holiday season.Birdman had previously stated that Tha Carter IV would be packaged with Rebirth as a double disc album. 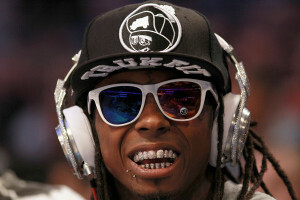 However, Wayne denied this idea saying that "Tha Carter IV deserves Tha Carter IV", adding that We Are Young Money may be packaged with Rebirth. However, both albums were released separately. His second child, Dwayne III, was born on October 22, 2008, at The Christ Hospital in Cincinnati to radio broadcaster Sarah Vivan. His third child, Cameron, was born to actress Lauren London on September 9, 2009. His fourth child, Neal, was born on November 30, 2009, to singer Nivea.Trina also became pregnant with Wayne's child, but later suffered a miscarriage. On October 25, 2012, Lil Wayne's private jet, bound for Los Angeles, made an emergency landing in Texas due to an in-flight medical episode. Lil Wayne was transferred to a local hospital upon arrival.TMZ and other media sources claimed that Lil Wayne had suffered a seizure aboard the plane. His publicist denied this, claiming that he was in fact treated for "a severe migraine and dehydration."